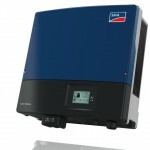 The R3 series is a new addition to the Diehl line, with 5 models ranging from 7 to 16kW. 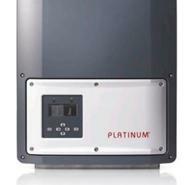 A transformerless, three phase inverter with peak efficiencies of 98.4%, the R3 is more efficient, smaller and lighter than the TL series. Benefiting from the advantages of the DIVE, Dual X and SiC technologies, it has a high efficiency in the low and high output ranges. 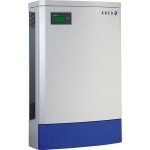 It employs RAS-MPP technology to track the maximum power point rapidly and comes with a data logger capable of storing 30 years worth of data.